Start by getting registered at Bruker webpage. And then download Compass Xtract 3.1.7 . 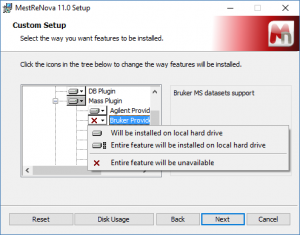 Finally, re-install Mnova making sure that you check Bruker component for the Mass plugin on the installation procedure. Next Article What is qNMR and why is it important?